South Davis Rec Center Family, Fitness & Fun--All in One!! 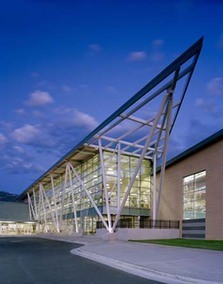 Come and enjoy all that South Davis Recreation Center has to offer! Whether it's swimming, fitness, rock climbing, ice skating or indoor recreation, you're sure to find FUN!! Present your Utah Kids Club card and receive one FREE ice skate rental when you purchase a regular priced ice skate admission! !